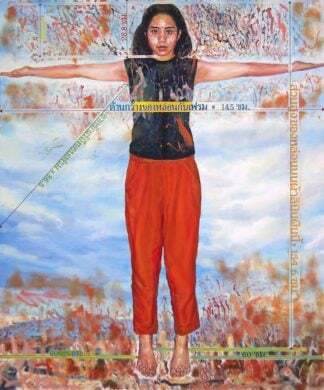 Onarto present’s the latest work by beloved Thai Impressionist Dusit Pimchangtong. 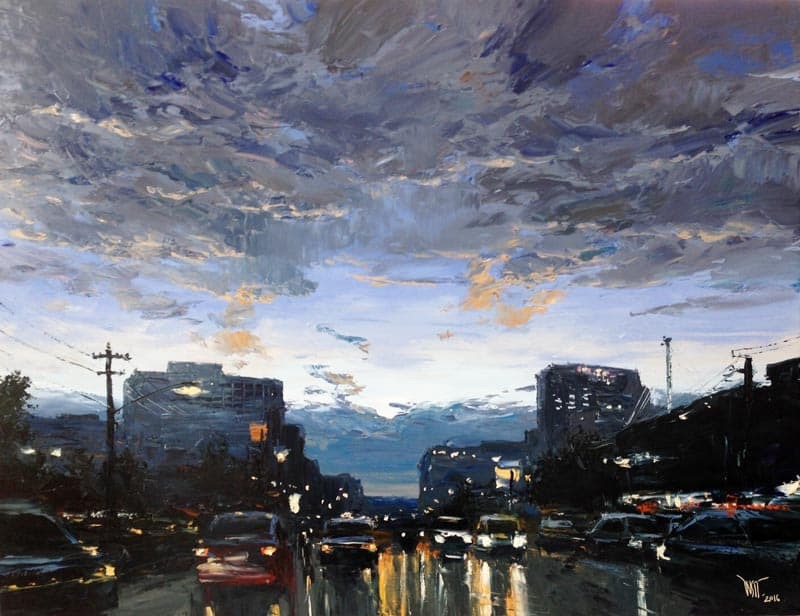 His latest Oil Painting features the glowing traffic lights and early evening colors of downtown Bangkok, Thailand at dusk. A leader in Asian art and a well known Thai artist, Dusit’s pieces are highly valued collector items. 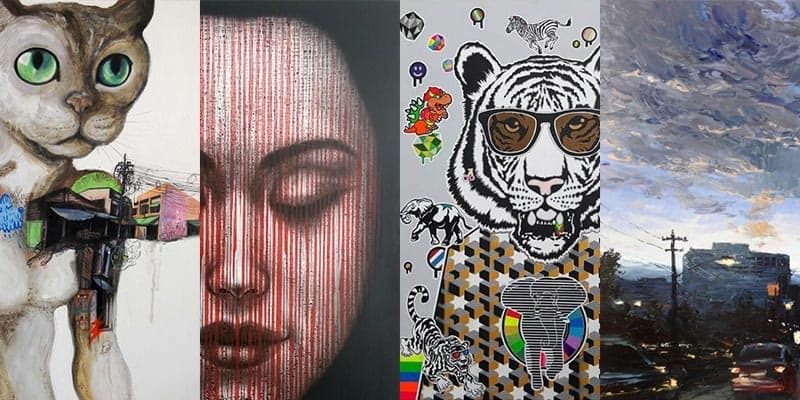 Boat is an emerging Thai artist known for his Acrylic artworks that blend illustration, pop art and and cartoonish characters. 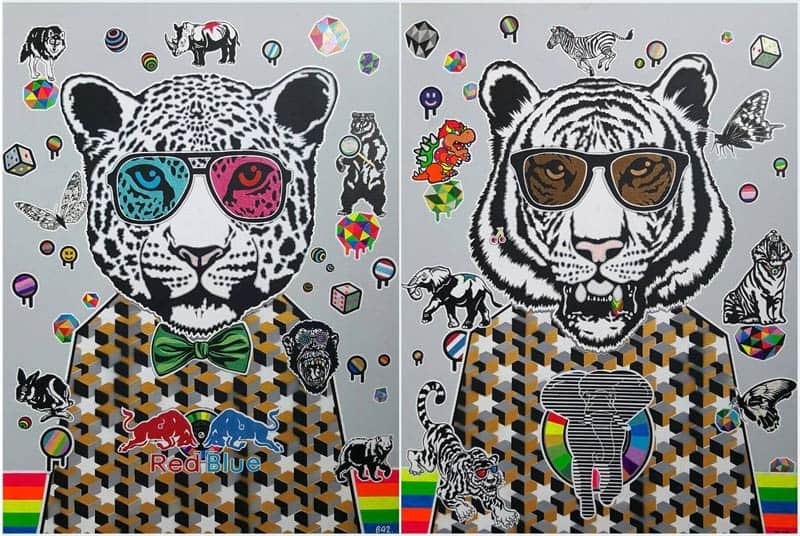 His wild combinations of symbols, colors and psychedelic motifs produce an eye-catching piece perfect for the young art lover. 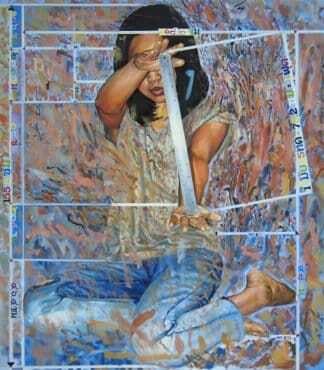 His latest diptych is a large and vibrant addition to his current collection of pop art works. 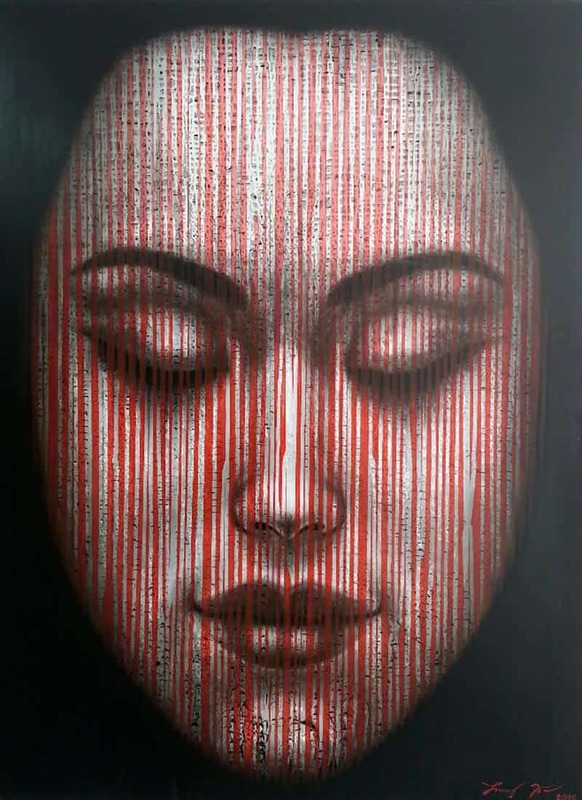 In Paitoon‘s latest iconic piece, the famous Thai artist once again features his most favorite topic, a woman’s portrait painting, but this time with a red, rain-like coating. A stunning piece that will spark conversation and bring ambience and refined luxury as a home furnishing for any space. Another must-have collectors item. 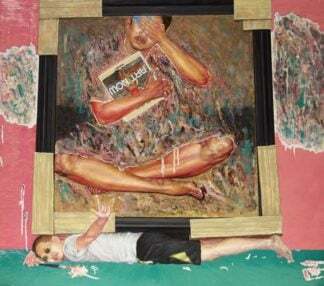 Abstract Thai artist Gee (Jirawat Pramphet) presents his latest mixed media piece on Onarto. 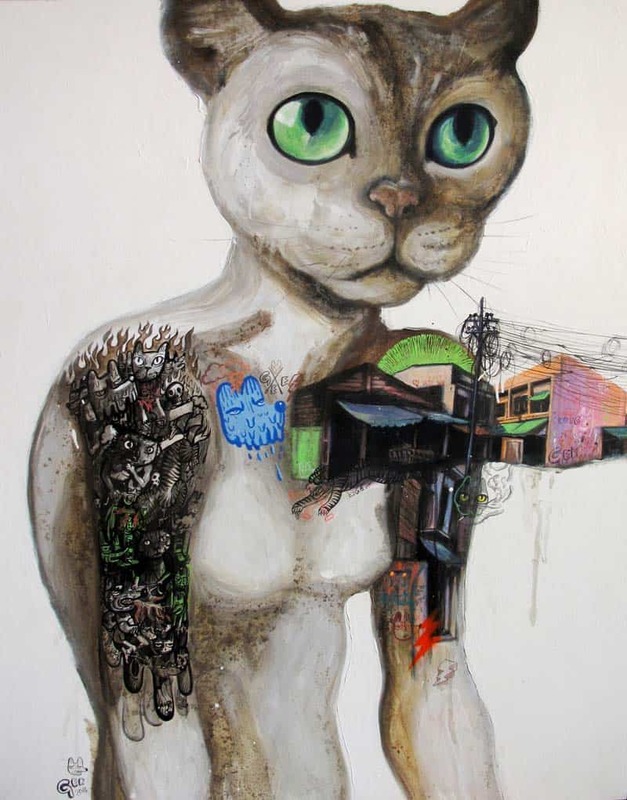 A departure from his recent large scale canvases featuring dogs, this complex cat illustration/edgy street art piece is the ideal piece for those who love the unconventional. 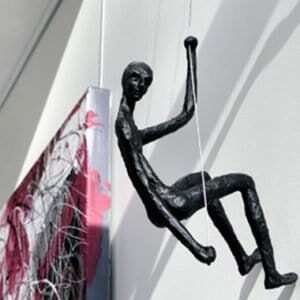 Onarto is the destination for buying Thai art and Asian art online. We provide free international shipping and can be contacted for commissions and custom art. Every piece of artwork you purchase will come with a verified Certificate of Authenticity, signed by the artist. All listed artwork prices include paypal and bank transfer fees. How much is the piece and can you ship here? 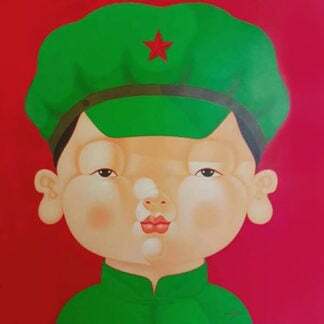 I have answered to you by email about this Paitoon Jumee painting for sale.